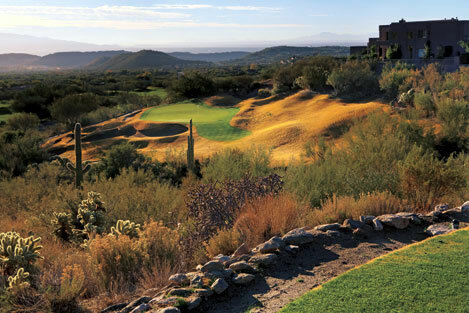 The golf course at Lowe's Ventana Canyon is home to the top 36-holes of golf in Tucson. 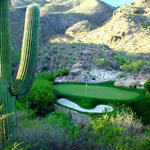 The Mountain and Canyon courses are semi-private which means that members are allotted one course per day. 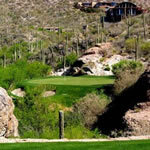 This means that public can play the Mountain course on the even days and the Canyon course on the odd days. 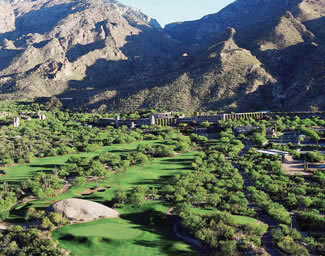 The Mountain course in which opened in 1984 is a Tom Fazio design that incorporates canyons, elevated tees and rolling fairways. 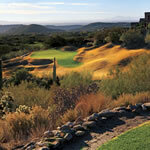 The course is very strategic and features many forced carries and target fairways. 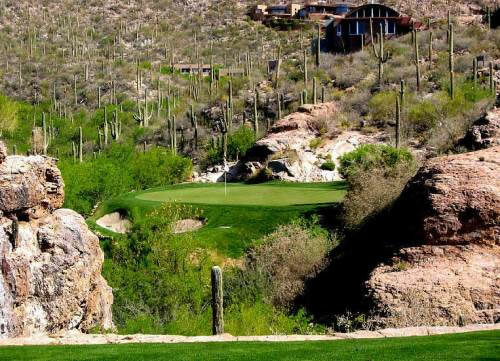 The Mountain course features the famous hole # 3 that stretches across 110 yards or pristine desert and canyons only to find the green on the other side of it. 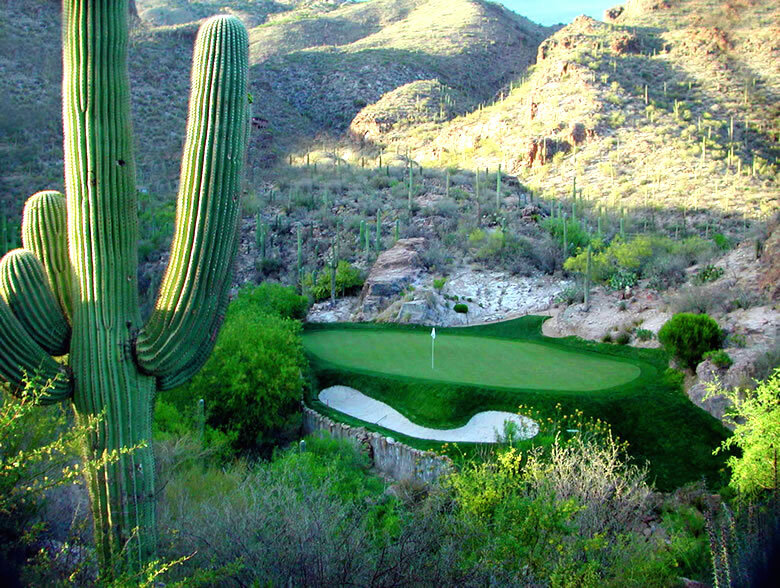 The Canyon course also opened in 1984 and was a Tom Fazio design. 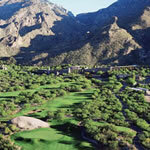 This course winds through Esperro Canyon and allows breathtaking views of the mountain backdrop and arroyos. The course plays through 6800 yards and is less difficult then its sister course. Hole #10 features Whaleback Rock which is a huge boulder that sits behind the green and is the most scenic hole on the course.